When Google launched its latest social networking utility, Google+, in June, and then announced in July that the service had already enrolled 10 million users, I reported that Google+ wasn’t ready for business. Now, four months later, Google has announced the release of Google+ Pages -- a way for businesses, brands and organizations to officially use Google+ to connect with consumers -- and I’m back to share that Google+ still isn’t ready for businesses. If there’s one thing Facebook has taught us about the care and feeding of word-of-mouth marketing, it’s that to properly manage a business-related profile on a social utility, the utility has to be easy to use. Moreover, it has to offer a compelling and scalable set of features. Google appears to have missed that memo, as have the droves of experts touting Google+ Pages as the next big thing for marketers and business communicators. Page administration: Google doesn’t allow multiple administrators to manage a Page, meaning only one person can manage a business or brand on Google+ (the only workaround for this is to open yet another Gmail account and give that account’s login information to anyone who needs to administer the Page). Cross-platform integration: In what can only be described as a huge error of omission, Google+ Pages doesn’t integrate with Google’s blogging (Blogger), analytics (Google Analytics) or video sharing (YouTube) platforms. While it stands to reason that future integration of these platforms is on Google’s engineering roadmap, the company remains tightlipped about any such future plans. For users looking for functionality now, these omissions are inexcusable. Traffic, or lack there of: Google+ doesn’t have the traffic marketers are looking for. When Google+ Pages was announced on Nov. 7, traffic to the plus.google.com domain spiked but has dropped every day since, according to data gathered through Compete.com. 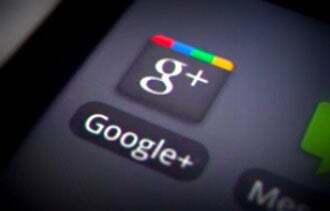 In fact, as of this writing, Google+’s reach is .05 percent of total U.S. Internet users online. By comparison, Facebook's reach is 63 percent. No promotions or offers: This will likely be the straw that breaks the camel’s back: Google+ Pages contest and promotion policies state you can’t use Google+ Pages for contests, offers, coupons or other promotions (Google’s workaround for this? Display a link on your Google+ Page to a separate site where your promotion is hosted). Lots of people, agencies, consultants and authors will tell you Google+ Pages is the next big thing in social networking for businesses. Don’t be confused by the rhetoric. What they mean is Google+ is their next big thing, their way to attempt to establish themselves as experts and try to command more of your attention. Compare Google+’s usability and features against Facebook’s and the choice for your business or brand should be clear. Do you think Google+ will end up being a boon for business? Leave a comment and let us know.